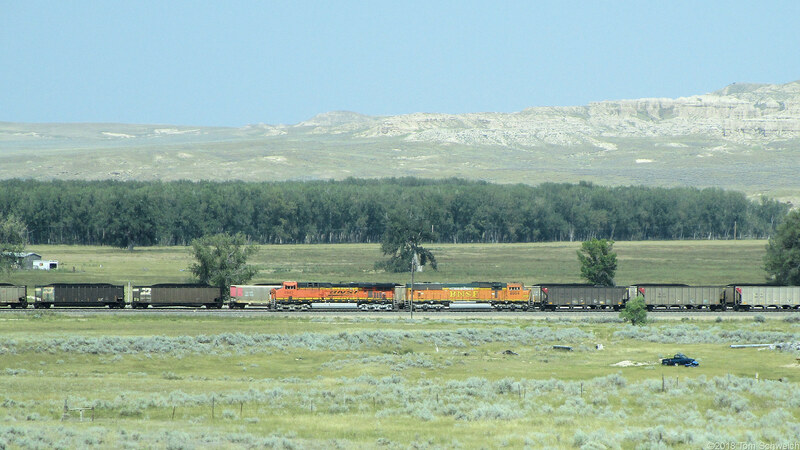 Photo: A loaded and an empty BNSF coal train meet between Glendo and Orin, Wyoming. Eastern Mojave Vegetation A loaded and an empty BNSF coal train meet between Glendo and Orin, Wyoming. Field Notes: s. of Orin Jct.. US Interstate 25: s. of Orin Jct..
Other photos about Geography - Wyoming or Converse County.